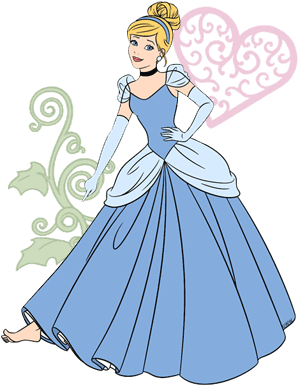 Sweet Cinderella dreams of attending the royal ball, but her cruel step-mother forbids it. As the poor young beauty succumbs to despair, her Fairy Godmother appears and, with a wave of her magic wand, transforms her rags into a beautiful gown and sends her off in a regal coach to the castle, where she falls in love with Prince Charming. 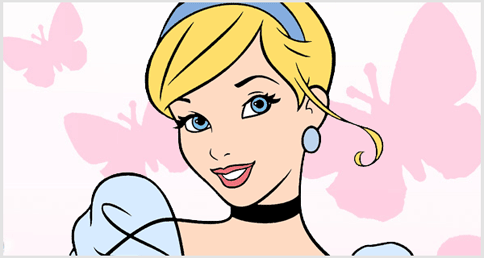 Cinderella appears within the first two minutes of Cinderella, released on February 15th 1950. She is first seen as a young girl standing by her father's side, petting a horse. Subsequently, she appeared in the sequels Dreams Come True and A Twist in Time and the motion picture Ralph Breaks the Internet: Wreck-It Ralph 2.